This bag is made by Intercontinental Leathern Industries and is made from 100% full gain cow hide leather. Excellent quality at excellent prices. 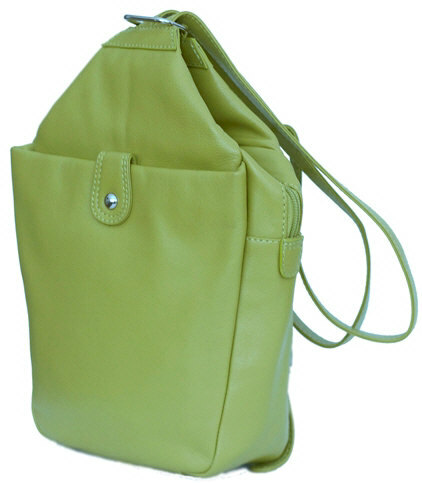 This cute bag features 2 compartments on the outside of the bag. The one on the front closes with a magnetic closure and the one on the back is zippered. Top zipper opens to main compartment that has a zippered pocket on the back wall and two open compartments on the front wall. Use it as a backpack or pull the straps through and it's a shoulder bag. Fully lined.